Today, we are going to discuss a range of RF tools that will improve the robustness of your wireless audio system. These are the types of tools that can make or break a mic or IEM project, so having these on hand can be a lifesaver. 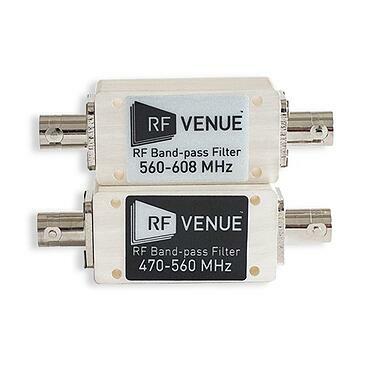 Band pass filters can be a game changer when wrangling RF. These nifty devices help filter out unwanted signals outside of the operational band of your receiver. Unwanted frequencies outside of these bands can overload the front end of your receivers, causing drop outs. In noisy or crowded RF environments, they will help reduce the noise, which will then lead to an improvement in dynamic range. I highly suggest adding these little guys to your tool kit. Note that for diversity wireless mic systems you will need one on both the A and B input to your distro. For a look at a before and after of their effectiveness checkout our video from the InfoComm tradeshow here. Splitters are a must have in your toolbox. They are an easy throw down for quick signal distribution for wireless mics, but also on combiners for IEM and IFB systems. Splitters come in different configurations. Most commonly found as 2 ways (2x1), but three and four way are also common. 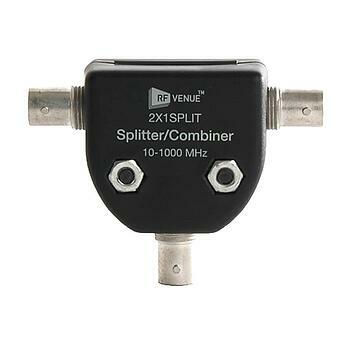 As useful as these little guys are, it is important to keep in mind the insertion loss you will have per splitter. Make sure to check with your manufacturer, so you know the loss across your entire distribution system. Quality splitters will have good isolation between ports and minimize insertion loss, so be sure to steer away from cheap "tee" type splitters that are simply a Y-shaped connector. Having access to these splitters can save you when you need to add another antenna, or tap an antenna line with your spectrum analyzer. These are my go to splitters I use in the field. In line amplifiers can solve many problems in the field. 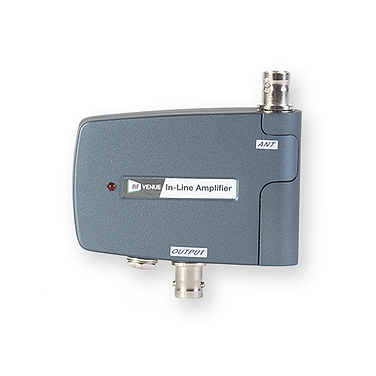 Used primarily for long cable runs, in line amplifiers help compensate for cable loss. Most commonly you will find amplifiers that add between 5 and 15 dBm of gain. Depending on the make and model, some offer selectable compensation with “high” and “low” features. Some amplifiers also allow the option to be powered with bias power from the receiver or antenna distributor. Others will include a 12V power supply. Please keep in mind that two amplifiers are needed for diversity applications. 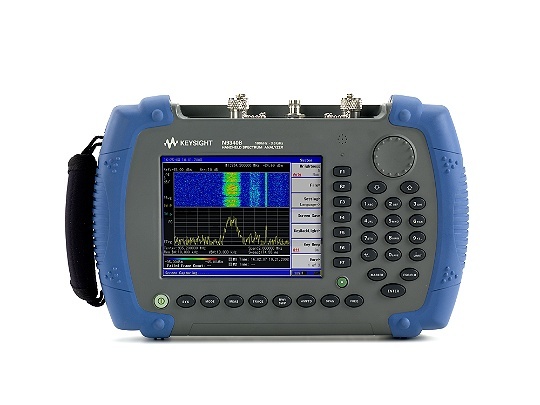 Spectrum analyzers could be the most useful tool an RF tech could have. A spectrum analyzer is a device that displays signal amplitude (strength) as it varies by signal frequency. Frequencies appear on the horizontal axis, and amplitude is displayed on the vertical axis. Similar to an RTA device for audio but in the RF domain. 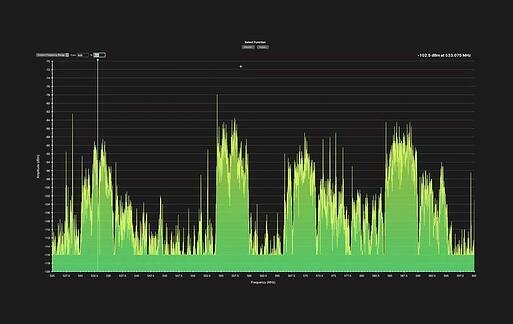 Using spectrum analyzers, we are able to visualize what wireless frequencies are occupied by television stations, wireless microphones, wireless in-ear transmitters, or other more troublesome sources like LED video walls. Seeing these potential interference sources helps us coordinate around them and better understand how our antennas are interacting in a given spectrum environment. Using intermodulation calculation software will always give you an advantage on any wireless project. Two of the more popular programs are IAS (Intermodulation Analysis Software) made by Professional Wireless Systems and WWB (Wireless Workbench) created by Shure. These programs calculate frequencies based on intermodulation products. WWB is a free application, and I suggest incorporating it into your coordination process. Other software allows for proper monitoring solutions. RF Venue's Vantage allows you to input frequencies for a show into the monitor table, set a dropout threshold and get a live view of signal levels across your wireless system. Markers are placed at each frequency location along with a red or green status against the dropout threshold. This functions as a great monitoring solution for any show. With Vantage, you can keep an eye out for interference and signal dropouts before they create issues on your wireless system. WWB and WSM (Wireless Systems Manager) offer monitoring solutions too, but I recommend Vantage because it can monitor more quickly and is native to Mac OSX. Frequency counters are a great tool to keep in your back pocket. They are used to identify frequencies by measuring the number of cycles in an oscillation. 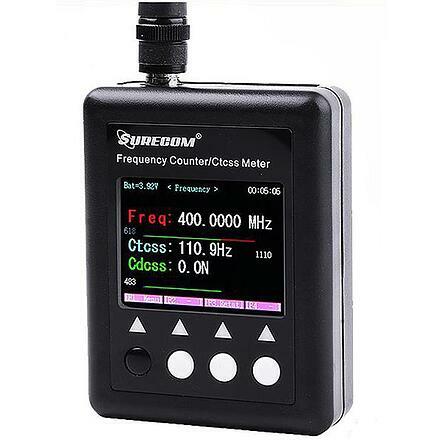 This tool is perfect for identifying what frequency a transmit is operating at. Most commonly used for radios, these little guys are a helpful little tool. Here is the one I recommend trying out. Which go-to tools do you have in your RF toolkit? Be sure to let us know in the comment section. 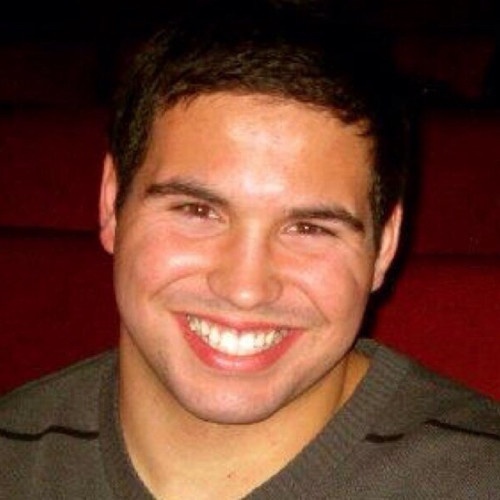 Active wireless & communications engineer supplying services for tours, award shows, broadcast & sporting events.